I’ve heard it said that ‘time is money’ is an insult to time. Because you can always make more money, but you cannot make more time. If you run a business, you know just how true that is! For some people, syncing between your phone and an online calendar is enough. But, just like everyone has different needs in a planner, everyone has different functionality they expect of the calendar on their phone. 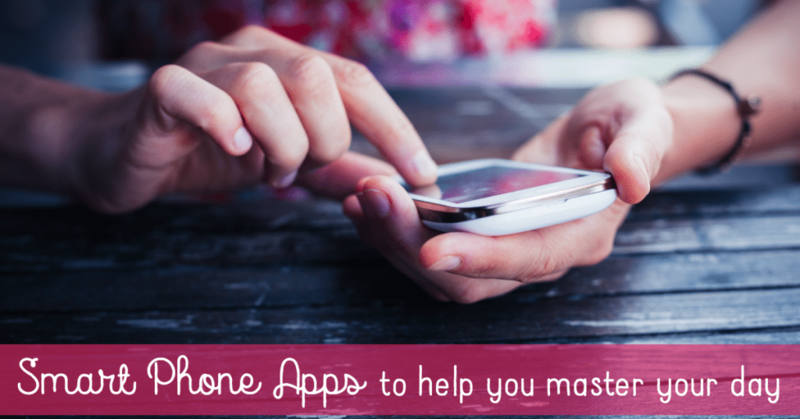 Here are a few apps that help you keep track of your schedule – in and out of the business. When you make the best possible use of your time, you’re able to be more fully present with the people you serve – from your clients to your loved ones. Fantastical 2 is one of the most highly downloaded apps for keeping track of your time. With its simple design, this application makes it's easy to plan your day, call, email or even message the people on your schedule. Duplicate, share, or even move your events with ease. Whether you prefer Google Calendar, iCloud, or Exchange, Sunrise gives an amazing user experience. The fresh and simple user interface makes it easy to use. Want to see who you're meeting with? Connect with LinkedIn to see details on attendees. Quickly add events on the go and never forget a meeting or appointment. Wave compatible with most phones and smart watches. And, it syncs with your Google, Exchange, Outlook, and Facebook calendar. Add your travel time, add color to your events, and search through your events with ease. Construct a clear outline of your events with tags and attachments or even the weather for the day! Get a crystal clear view of everything you need to see, minus the clutter. UpTo has two layers: your current calendar in the front, and a calendar in the back based around your personal and business likes. Calvetica is a minimalist calendar. This application syncs with your built in calendar on your apple device, and makes things easier and simple to see. Have a calendar app you can’t live without? Share it in the comments. Great list of calendars Julie! For me, I use Awesome Cal. I love it as it synchronises with my Google calendar, and I can add my reminders, notes for specific days, to do lists, in there. Plus, it synchronises between my iPhone and my iPad. I can’t live without it. I also use a paper version to track plans and ideas, but this iPhone app is really helpful in helping me plan my most important actions to take for the next day.